This article is for the newer triathlete who has got bitten by the bug and is starting to train every day. As your training volume increases to 8 – 10 hours or more a week, and you are getting familiar with mixing up your perceived effort levels, the issue of recovery becomes important. A relatively hard bike or run session; for example speed-work at the track/ power intervals on the bike trainer/ tempo runs or long bike and run sessions, produces metabolic waste, that, if not cleared from the legs, will sit around and impede the body’s natural process of recovery and adaptation. The principal behind “flushing the legs” is to move the deoxygenated, low nutrient, ‘stale’, blood back up through the venous system for filtration through the liver, where the waste products are removed, and through the lungs, to re-oxygenate the blood. ‘Fresh’ blood, full of oxygen and nutrients is returned to the legs, thereby setting up a good physiological environment for the muscular rest and repair. Propping your legs up against the wall, preferably with your feet at a level above your heart. Just lie back and let gravity pull the stale blood out of your legs. This technique works best if you leave them up for at least 20 minutes. Simple, effective and free. An ice bath is a great way to refresh the legs after a particularly long and/ or hard session. The cold water causes the blood vessels to constrict, squeezing the blood out of the limbs back up through the venous system. A good massage also has the same effect of flushing the legs. This can be as simple as a quick 5 min rub down in the shower post training or a 20 min session on the foam roller. The gold standard is of course an hour sports massage because on top of flushing the legs, a good massage therapist will also knead out all the tight knots and realign your muscles. If all else fails and you do not have the luxury of time then squeeze into a pair of tight, full leg compression garments and get on with your day! See also: Indoor Vs Outdoor, Which Is The Best Cycle Training? Most of you will know that 40 – 60 mins post training is the best time to top up the gas tank of your triathlete bodies. During this window, they are like a sponge that will soak up whatever you put into them. Pushing out a solid training session is not a good reason to stuff your face with your favourite decadent unhealthy treats – Save that for a weekend treat. Your body is literally going to repair itself with whatever you put into it at this time.So if you want to keep putting out quality training sessions you owe it to your body to put in all the right stuff. A clean and well- balanced meal of quality, fresh ingredients that are easily digested and absorbed is the way to go. Carbohydrates are not the enemy. In fact they are an essential part of the recovery meal. Carbohydrates are the raw ingredient for your body to produce and store glycogen which is the main source of fuel used, and used up in, endurance training. The important thing with carbohydrate intake is to time it right. For the purpose of recovery, get it in right after training. A light carbohydrate snack is also useful to fuel up before a session and carbohydrate sports drinks are useful to get you through the long endurance sessions. *A poor time to have a large portion of carbs is a few hours after your training and/ or late at night before going to bed. A moderate amount of protein- The cleaner the preparation the better. Loads of colourful vegetables to replenish vitamins, antioxidants and trace minerals. If a suitable recovery meal is not available then a recovery drink which includes both carbs and protein is a useful and easy fix. You can use any one of widely available endurance formula recovery drinks or simply get in a decent sized cup of Chocolate Milk in. Many athletes learn about the importance of adequate recovery the hard way- after getting injured or following a bout of feeling flat and over-trained. While it may not always be practical to factor all of the above into your busy multisport lives, all of the time, putting these principles into practice whenever you can will increase the quality of your training sessions and your ability to handle that extra little bit of training. 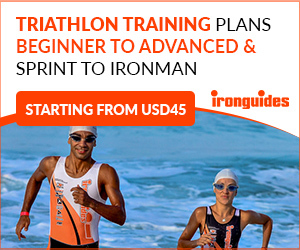 ironguides is the leading Lifestyle Facilitation company for athletes of all abilities. We provide coaching and training services, plans and programs, as well training education, health and fitness products to help you learn and live a healthy lifestyle. 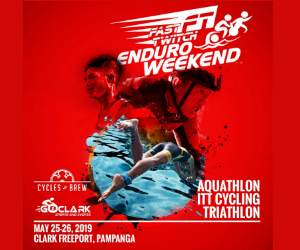 Come get fit with one of our monthly training subscriptions, event-specific training plans, coaching services, or a triathlon training camp in an exotic location! ironguides also provides Corporate Health services including Corporate Triathlons, Healthy Living retreats and speaking engagements. At ironguides, your best is our business! Are heat training camps replacing altitude training? Subscribe to our weekly newsletter to get the latest news, chance to win free race slots and more….